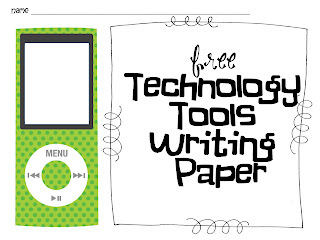 Spring into Technology with Classroom Freebies! Several phenomenal teachers, Technology Tailgate Coaches and bloggers are joining forces for an amazing classroom technology blog hop! As you hop from blog to blog, you will visit some of your favorite blogs and discover a few new blogs too! Each with a fabulous freebie just for you! Thank you for hopping over! I have spent hours upon hours upon hours (seriously!) scouring the web for the best web 2.0 tools around. I have compiled this information to create a guide of the best websites and web 2.0 tools around. I created this guide as a reference for myself to be able to find the best tools (and be able to remember the name) when I need it. For each tool or site I have the name, website, description, reasons why I love the tool and the category that it falls into. This has helped me tons of times! When I'm looking for a resource I can just quickly scan the categories and find just the one I'm looking for in seconds. I've been working on this list for well over a year but this is the first time that I have shared it on here. :-) I hope that it is beneficial to you! 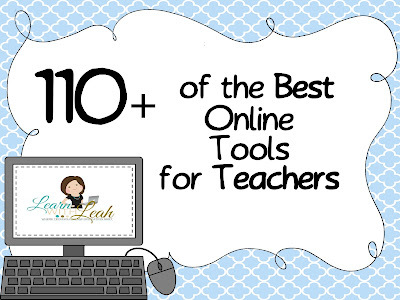 If you know any other tools that I have missed- please let me know in the comments below! 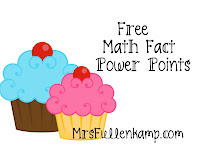 Have you been to MrsFullenkamp.com? 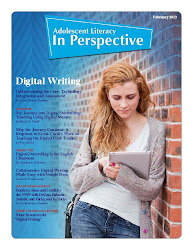 I have many of these links and tools as well as games divided by holiday and subject in a student friendly manner. :-) Check it out! In case you didn't start from the beginning, here is an ordered list of all participating blogs! A special thank you to Jen at Tech with Jen for designing the blog hop button! Interested in joining our next blog hop? Join here! 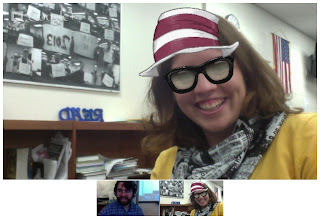 It is official, I am obsessed with Google Plus Hangouts. Seriously Amazing! Here is a quick picture of my latest hangout with my pal Sully. Now, within the hangout there is a toolkit where you can add all sorts of effects to your image- hence the glasses and hats. I must admit, I am LOVING the glasses- I went shopping today and looked for a pair- didn't find one that quite pulled off the level of nerdiness that I'm looking for but I'm on the hunt! I am ridiculously amazed with this- at first I was like oh, look, Skype, wait Facetime--- been there! But it is so much more. You can hangout with 9 different people at the same time- did you catch that? NINE. How cool is that?!?! This is the ultimate collaboration tool. You can watch a YouTube video together, pause it, and chat about it. 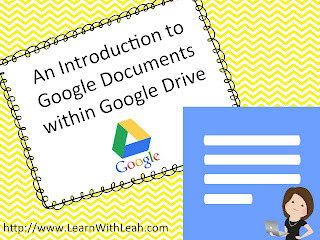 Collaborate together on a Google Doc or other file. Holy Smokes! And get this- you can have your session recorded and sent straight to YouTube where people who are not in the hangout can watch LIVE. Did I mention the best part???? It is FREE!!! Doesn't cost a dime! Hangouts are way amazing, the cool thing to do really. Everyone's doing it really. So I have to ask--- wanna hangout? :-D Seriously, I'd LOVE to! Let me know if you would like to in the comments below! I forgot to mention in the video that the you can upload almost any type of document, pictures, spreadsheet, movie, or sound clip. Pretty amazing if you ask me! Do you have any other Google related tutorials that you would like to see? Let me know in the comments below! I'm a guest blogger today at All Things Upper Elementary today! Yay! 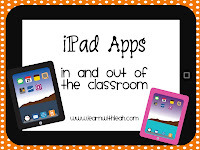 I'm blogging about the amazing app Book Creator the post has a very exciting freebie that you won't want to miss! Check it out here! I didn't get a chance to blog about this yet, but last week I was a guest on HoJo's Teaching Adventures! 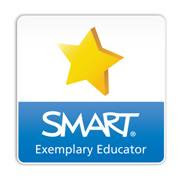 I shared one of my favorite Common Core Aligned Websites that has videos arranged by standards and is completely free! Check it out here! 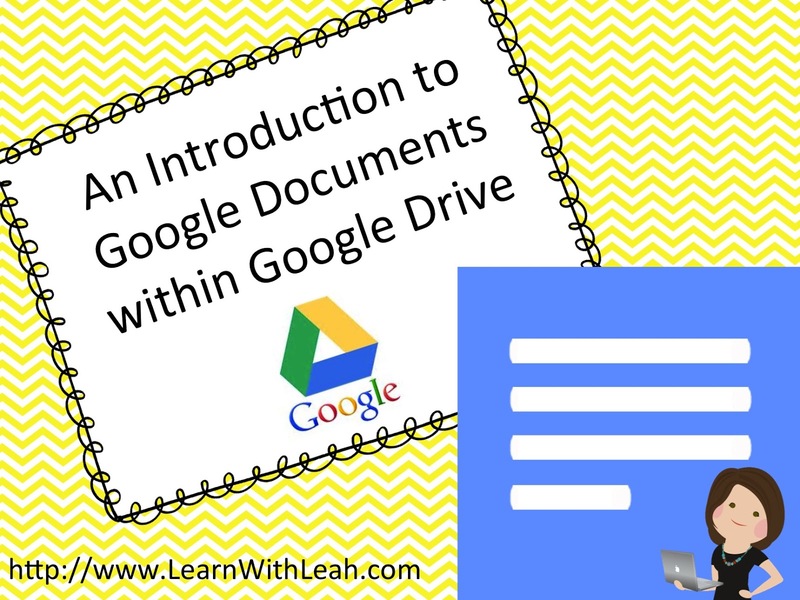 Google Docs is seriously one of my favorite things! I'm am so glad I have the opportunity to share this with you today. The collaboration aspect is AMAZING and honestly it keeps getting better and better! The video below demonstrates the research feature that is seriously life changing- I love the look on students faces when I show them this tool! 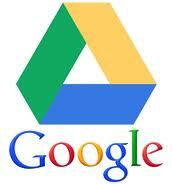 Google Documents is housed within Google Drive. This has changed somewhat recently- it was the name of the entire program- Now it is just a part. I can't leave without sharing a few of my favorite YouTube videos from Google. I'm not sure which one gets number one- The concept behind "A Love Letter" may be the best but the technology is now outdated. The Campaign Speech is a great overview of all of the tools in drive working together. Hall and Oates may be simple but it is one of my favorites- and remember if they would want to go back and see all of the deleted choices they can check out the revision history! I hope you enjoyed this and maybe even learned something! ;-) If you have anything Google or Apple related that you would like to learn about please let me know!!! 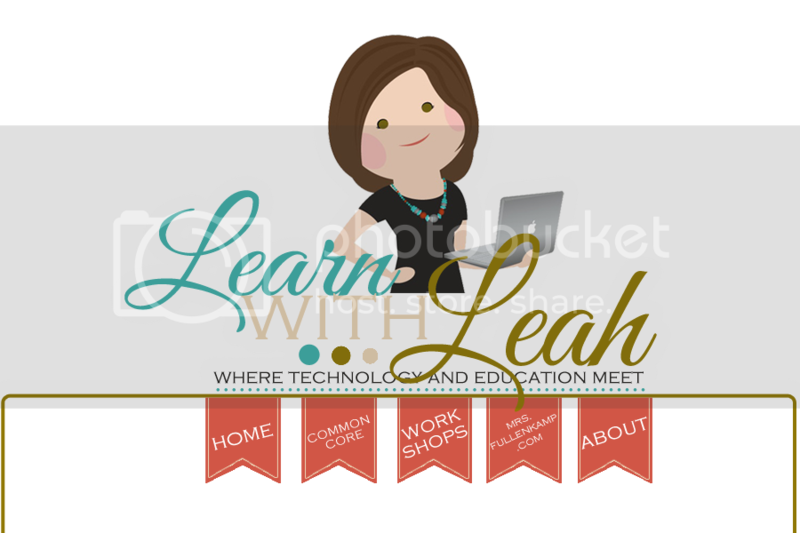 If you are anything like me, I've struggled for years trying to keep my personal and school bookmarks, favorite sites, login information and more separate. The day multiple profiles was released with Google Chrome was one of the greatest days ever! Seriously, it is life changing! 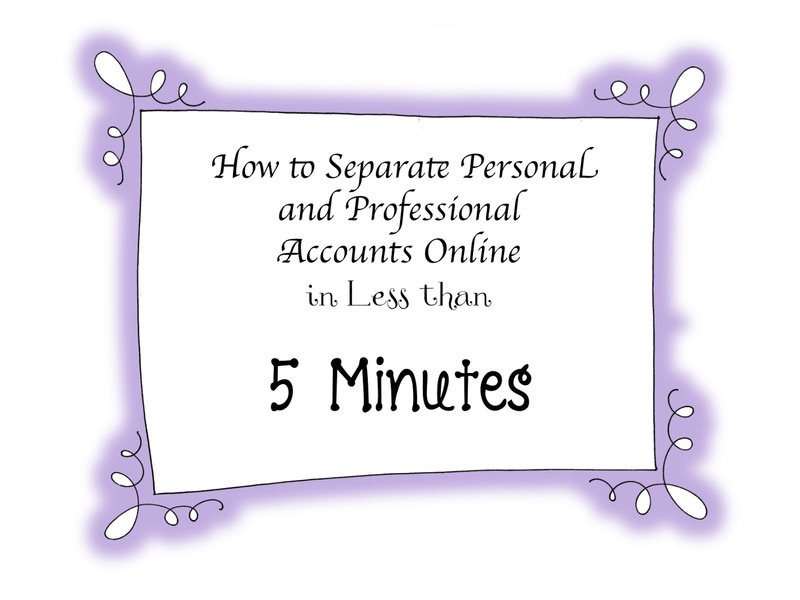 What multiple profiles allows you to do is keep all of you personal and professional accounts separate online. This includes everything- bookmarks, passwords, sites visited. Everything. 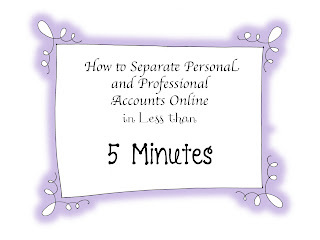 Below is a quick video that I created on how to separate your personal and professional life online in less than five minutes. I hope this helps to keep things simple in your life! Do you ever have those moments that change everything? Your path in life, your idea of yourself, or a view of something. I just finished watching this amazing Ted Talk by Drew Dudley where he explored the idea of leadership. I have always felt that to be a leader you need to be a step ahead, you need to distinguish yourself among your peers- Drew challenged this view. He says that it is the everyday leadership that changes your life- the things that you do day to day that has lasting impact on those around you. Do you have a lollipop moment similar to the one in the video? Have you told the person about it? I haven't- but maybe I should. They always say that it is the little things that matter. The times when you aren't trying to be a leader but instead just help the person next to you. I had a lollipop moment just this week where two people helped me out tremendously and I won't forget it- although I'm still getting over this event! Eric and Trevor if you are reading this I'm talking about you! Do you have a lollipop moment? Has anyone ever told you about something that you did that changed their life? Do you remember doing it? Tomorrow I will present Creating a Community of Collaboration with Google Sites on Google Edu On Air. If you haven't visited this site it is a must see! 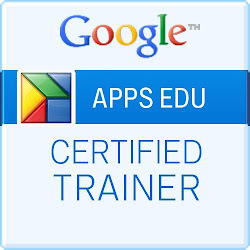 Google Certified Trainers and Teachers are presenting via hangouts on a variety of Google Topics. It is an amazing collaboration of people and resources and I am so excited and honored to be a part of it! What is a hangout you ask. Well, it is a group of up to nine people all online at the same time in a Skype-type session- It reminds me a bit of a Brady Bunch type screen but with all of the web cam video along the bottom of the screen. Hangouts allow you to share live screen recordings, watch YouTube videos as a group and have a conversation. Basically- it is amazing. It is a situation where technology catches up with your imagination. The hangouts are happening live everyday at a variety of times. All sessions are recorded so you can stop back and check out any past hangouts. I would love for you to join me live on my Google+ page tomorrow or at least catch the recording. Stop back tomorrow and I'll post the slides from my session as well as the YouTube recording. A Freebie, A Giveaway, A Newsletter and a New Blog Design! Oh My! Things have been hopping here lately. So much in fact that time is FLYING by! Only a few weeks left until summer vacation! I don't know about you but, I cannot wait! 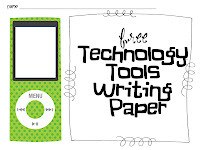 Check out my newest freebie- Technology Tools Writing Paper. :-) These could be used to have the students create a playlist of songs about themselves, create a blue print for an app or tell a story about the next tech invention they would like to invent. 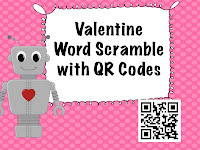 You can snag this freebie by clicking on the photo below! I have hit 100 followers! Wahoo! I never thought I would get a single follower let alone 100! You are all amazing! 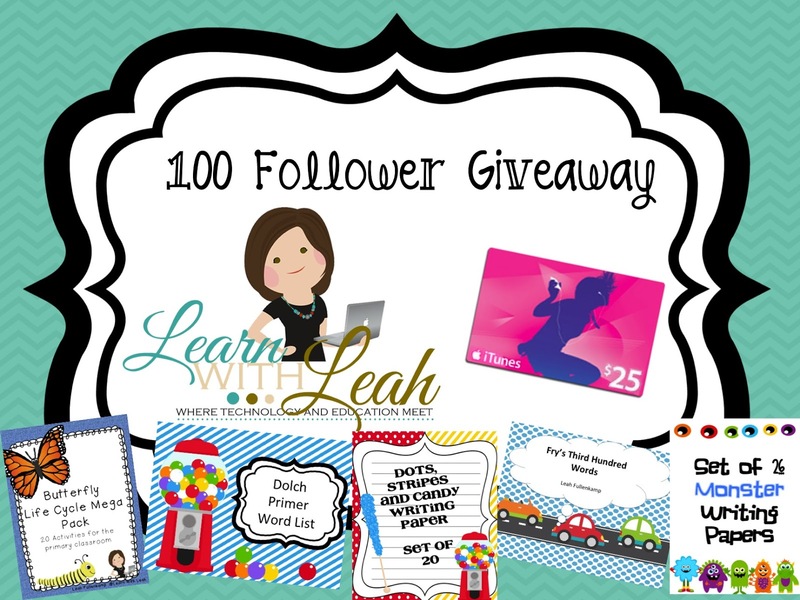 In honor of this, I'm giving away a $25 dollar iTunes gift card and every single item in my TPT store! Enter below for 14 chances to win! I have also started a newsletter! Receive monthly tech tips, exclusive freebies and more sent directly to your inbox. Subscribe to our newsletter. 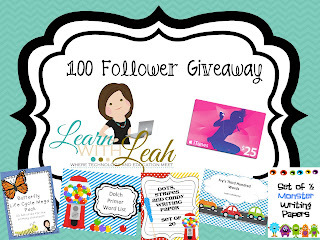 I'm very excited about this because it is a way for me to send you exclusive freebies, tips, and tricks- items that I may charge for in other places! Subscribe you won't regret it!!! Did you notice my new blog design? What do you think? I'm in love with the header! Seriously, in Love! 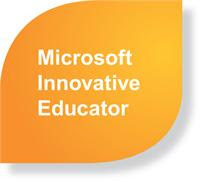 I'm preparing for a busy week ahead as I gear up for my first presentation with Google Edu On Air. I'm very excited about it-more details to come soon!!! !